A Bill Gates’ quote is famous: “If I was down to my last dollar, I’d spend it on public relations.” Certainly, there’s validity for his philosophy. Even if you go to the competing Google News, you’ll typically find 50 million results for the key word, Microsoft. Now we learn public relations is 88 percent more efficient than content marketing, according to a 2014 Nielsen study underwritten by inPowered. Ostensibly, the study demonstrates the power of earned media as a center of influence. A positive news report is quite valuable for credibility to build trust. “With so many companies spending so much money on content marketing, we wanted to clarify what kind of content is actually impacting consumers and helping them make their decisions,” said Peyman Nilforoush, co-founder and CEO of inPowered. “This isn’t about disproving any particular type of content, it’s about identifying the most effective blend of content types to help effectively educate and inform consumers,” he added. The study indicates the news media still has more credibility than branded content and maintains a strong influence on consumers. Moreover, it means a greater return on the marketing investment in the consumers’ perceptions in the decision-making to buying cycle. “It became clear throughout the study that, while exposure to each type of content did provide a lift across different categories, credible content from experts was the only content type that performed consistently across all stages of the purchase process,” said Tommy Cheng, vice president of Nielsen Content Innovation Solutions. The study featured the responses of 900 consumers. “When it comes to determining which content to utilize to best educate consumers, it is not an either/or proposition,” said Mr. Nilforoush. “But by beginning with a solid foundation of trust built on trusted content from credible, third-party experts, all other content will have a greater impact. Certainly, inPowered is credible as a PR-minded company, as I discovered after downloading the report. True, it was a computer-generated response but it was a nice touch — a well conceived approach that a lot of companies should emulate. It’s worth noting PR is valuable but that’s not to say content marketing is worthless. PR should be part of an integrated set of strategies to build trust with consumers. That includes B2B and not just B2C. After all, 82 percent of B2B marketers prefer content-marketing strategies according to a study. Either way, building trust is paramount. For a Bounce in Revenue, Try Strategic Press Releases — Ever wonder why some companies are always in the news or how they succeed on the Internet? It’s a good bet they have a good PR consultant or have mastered the art of writing press releases. You can level the playing field with effective press releases. How to Leverage the News Media to Brand Your Business — Social media is OK for promotion. But if you need blockbuster publicity, use best practices in marketing. Play a trump card — leverage the news media for public relations. How Some Companies Get Creative in Customer Service for Great PR — As you no doubt know, it’s increasingly competitive and costly to attract customers. It’s also a challenge to hang onto to customers while adding more for your business growth. Typically, consumers react favorably to marketing after receiving five positive messages. If your site’s visitor numbers are falling, there are five possible reasons. The key is to know what’s wrong before you start applying solutions. It used to be that Web-site owners only had to worry about losing traffic in the summer. Instead of surfing, they found it more fun to enjoy the fresh air of the summer months, which prompted publishing solutions — five tips to deal with the inevitable traffic slowdowns. But things have changed year-round for many Web site owners. How’s your Web site traffic? Have you been suffering a decline in your visitors’ rate, but you don’t know why? If it’s any consolation, it’s ostensibly a perplexing problem for a lot of people. “Slowly, but surely, you’ve been watching your traffic numbers decline, despite not having changed much of anything about the way you publish content or optimize your website for the search engines,” writes Michael Garrity, an editor of Website Magazine. He’s right. Your standing on your search engine results page (SERP) affects your visitors’ rate. If you rank highly, your visitors’ numbers are strong. If not, they’re weak. In my experience, about 70 percent Internet surfers select a result from only among the first 10 on the SERP. 1. New Competition. He theorizes that too many search-engine optimization pros think they’re doing something wrong – without considering the possibility of increased competition – rival sites poaching their users. “This is one of the reasons why conducting regular industry assessments and search audits is imperative,” he suggests. 2. Content is Out of Date. He believes the majority of content becomes old and declines in value, resulting in a SERP decline. If I understand Mr. Garrity correctly, here’s where we slightly disagree on the solution to outdated content. Yes, you might have outdated content. However, you’re paying for the bandwidth consumed by your users, and it’s best to save money. So, it you have new information to share — contrary to Mr. Garrity’s advice — simply update the old content and indicate it’s updated. Otherwise, Google will discount the value of the old page. Also, I’d make another suggestion: If you believe such pages are relevant, not to worry. You can use your social media and strategic press releases to boost traffic. Again, Google will notice. 3. Shifts in Algorithm Values. He points out the search engines might be making algorithm changes. Agreed. Note: For you to stay popular on Google, be aware the search engine looks for its desired answers to 23 key questions about your Web site. “If you notice that Google seems to favor certain types of content for one of your keywords or targeted search terms, maybe that means you should consider making a video or infographic the next time you consider writing a blog post about a that topic,” he suggests. 4. Caught Red Handed Being a Black Hat. Black hat artists use disreputable SEO strategies to trick search engines into a high ranking on the SERP. If you’re discovered using black hat techniques, you’ll be penalized. “If you genuinely weren’t intending to be shady and just made a mistake, it’s important that you find out what your exact offense was and correct it as soon as possible, so that you can start trying to garner some good will with the search engines and make your way back up in the rankings,” Mr. Garrity says. 5. They’re Just Not That into Your Content. Ouch. Perhaps, your writing isn’t popular. “To rectify this problem, you should be aware of the top sites and blogs in your niche or industry, and take note of what they’re regularly publishing content about (in order to understand emerging trends) and what their readers are saying in comments sections and on social media sites to see what they’re asking for, so that you have a better idea of what content will be engaging and valuable to the visitors you want to attract,” he recommends. Furthermore, I’d add that the key for bloggers is to know the secrets for attracting and keeping readers. Access his full article here. Website Magazine is a free publication, and provides excellent, timely tips. If you want your Web site to dominate your competitors and keep visitors on your site longer, you might want to consider that social media doesn’t enhance your odds as much as other strategies. What works best is an investment in content and search engine optimization (SEO). Ironically, the hype about social media makes this seem like an improbable proposition. However, a 2011 study shows you’re missing opportunities for growth if you’re too influenced by the social media buzz. It’s a strong word of caution against investing more in social media than enhancing your Web site with frequent, strong relevant content backed by SEO strategies. The study by Outbrain shows referrals from user-traffic deliver more results than social media. 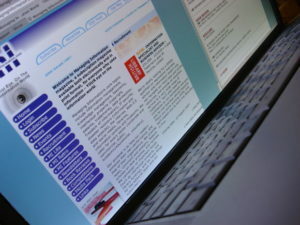 The firm, www.outbrain.com, provides services for an impressive array of publishers including content and traffic information. Outbrain says users that directly visit your site and surf more of your pages constitute about 66 percent of your visitors’ data. The firm’s study indicates social media enthusiasts will spend less time on your site – the bounce rate is higher – they visit one page and that’s it. On the other hand, surfers who visit your site based on their key word or phrase-search will visit more of your pages. — While search still reigns supreme in terms of directing traffic to content pages (41% of external referrers), social is gaining share at 11%. — Of the six content verticals examined, stories in the news, entertainment and lifestyle categories are the most likely to receive traffic from social sources. — Traffic coming from social media sources has the highest tendency to bounce. — Readers who go from one content site to another (i.e. USA Today to The Daily Beast) are most likely to be engaged in what they’re reading, presumably because they are already in content consumption mode. — Facebook delivers a more diverse audience than Twitter. My sense about the study: All traffic – social media enthusiasts and content searchers – is welcome. However, Outbrain is right. With all the hype about social media — if you have to choose between the two strategies — it might seem riskier to invest more in your content and search engine optimization. But your ROI will be stronger. Candidly, that’s my experience, too, as business-performance consultant and publisher of this business portal. Content searchers tend to be more studious and will spend more time looking for content that interests them. The bounce rate for them is insignificant. That enhances your odds for more revenue – whether you’re marketing products or services or depend on display-advertising revenue. It may seem riskier in the face of the social media hoopla, but focus on providing frequent, relevant content backed by SEO. The social media efforts should be secondary. If you have to make a choice, remember Web sites with current, strong relevant content earn more respect. Task-Management Checklist for Digital Marketing — To generate revenue from digital marketing, naturally, you must strategize to use best practices for customer relationship management and for pursuing new business. What are the task-management tips to maximize your time and energies in digital marketing? You need an up-to-date Web presence that ranges from effective mobile apps to social media. Optimize for Bing to Achieve 30% Reach on Internet — Yahoo and Bing are expected to combine for 30 percent market share. If you haven’t already, start optimizing your Web site for Bing. Here’s how. 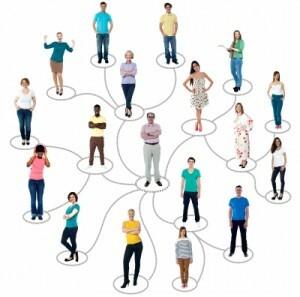 Will Social Media Take Driver’s Seat in Search? A study shows about one in five Internet users now use social media instead of portals and search for their online navigation. That’s the finding of The Nielsen Company, www.nielsen.com, in an online panel survey of 1800 respondents in August. What type of Web sites do the respondents use for search? With vast number of Web sources of information, Gibs indicated Internet users feel the effects of consumer overload. He stated nearly 15 percent of the Socializers trust blogs and 20 percent rely on information posted on message boards. Meantime, Nielsen reports higher-income urban dwellers tended to be Socializers. — Facebook users have a largely upscale profile. The top third of lifestyle segments relative to affluence were 25 percent more likely to use Facebook than those in the those in the lower third. — The bottom third segments related to affluence are 37 percent more likely to use MySpace than those in the top third. — Users of Facebook were also much more likely to use LinkedIn, a network geared towards business and professional networking, than those who use MySpace. Social Media: 5 Ways to Use Instagram for Revenue — Now that marketers have learned Instagram is a potent force in social media — a study shows it beats Facebook, Twitter and Google+. You might want to learn how to capitalize on it for revenue, too.